Written on November 30, 2008 at 2:41 pm by Air Coole VW Love! Here are some tips on how to tune up an air cooled Volkswagen. Most people can learn to tune up an air cooled Volkswagen engine with just a bit of practice. If your VW is getting harder to start and you notice less power and gas mileage or missing then a tune up is long overdue. A tune up is important for any car, but it is even more so for an air cooled engine. An air cooled engine will vibrate much more than a water cooled one. This vibration will cause engine components to wander from optimal settings a little quicker. The better tuned your engine is the less it will vibrate. When you tune up an air cooled Volkswagen engine you should follow the procedures in a particular order. Some systems are dependent upon other systems to operate properly. For example an accurate carburetor idle mixture cannot be achieved unless the compression, ignition system and valve clearances are correct. In addition, compression readings will be adversely affected by improper valve clearances. You can take your VW to a mechanic, if you can find one who is familiar with air cooled engines, or you can do the work yourself. Doing your own work and maintenance will save you money, it will also make you closer to the car. When you do your own work you know what you have and you develop a feel for the way the car runs which helps you notice problems much quicker. The “official” recommendation for tune ups is around every 10,000 to 12,000 miles, but this is only a very general guideline. The actual need for tune ups is dependent upon driving conditions and how hard your VW is driven. Remember, if your VW is getting harder to start and you notice less power and gas mileage or missing then a tune up is long overdue. As time goes by you will “learn” your air cooled VW. You will know exactly when to do a tune up and you will be able to do it quickly. The trick is to make it a labor of love and not a chore, otherwise consider taking it to a mechanic. OK, so a tune up is important, but it doesn’t end there. 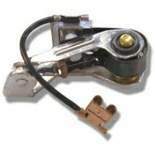 Between tune ups you should check things like your ignition points and oil level. There are also plenty of non tune up things to check, such as; brake fluid level, condition of brakes and tires, battery charging system, exhaust, etc. When you first begin tuning up and maintaining your air cooled Volkswagen check everything often. As time passes you will learn things like how much oil it uses and what sort of gas mileage you are getting. You will notice quickly when conditions or performance deteriorates and you will know what to do to get that VW running smooth again. I bought my first VW bug in 74. it was brand new. I wish I still had that one! Currently I have a 72 VW bus and even though it isnt in mint condition I still love it. thanks for putting this site together. I used it to tune up my 1968 bus and it has never run better! i appreciated your hard work. Thanks again. I would like to rebuild a vw classic beetle1972 up but dont know where to begin from.am not familiar with autos but have seen several old beetle bodies put up for sale.where do i begin from. 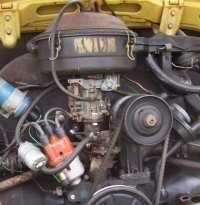 I have a 63′ VW Beetle Sedan -- all stock 6 volt 1200cc 40 hp -- and there seems to be confusion on what notch on the pulley to use to set the timing. Muir says one thing, “Bug Me” video another. I have one of those short stubby (about and inch thick) distributors. Anyone have advice on what position to use? -10, -7.5 or TDC? I have driven 1,000 miles since my last tuneup in Jan. 2014…..I was told when it hits 2,000 I need a tuneup is this correct? where in santa monica can I get a tuneup?